In ancient Greek mythology amber was created when Phaeton, the son of the sun god Helios, was struck by lightning and fell into a river. Phaeton sisters grief was so immense that they became poplar trees and the tears became the golden amber we know today. Amber is a gemstone formed by fossilized tree resin, and has been used as a folk medicine, jewelry, and ingredient in perfumes for ages. 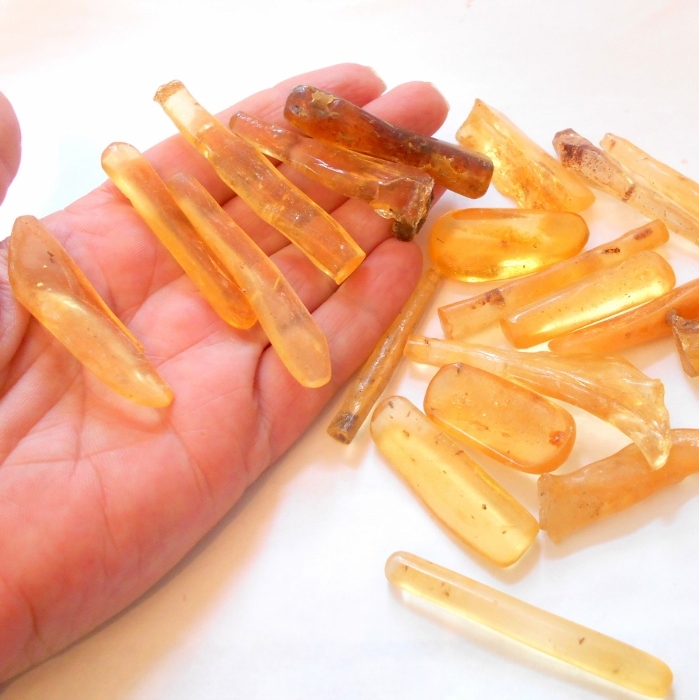 Amber is a natural pain reliever, most commonly used in teething necklaces for babies. Amber is at stone strongly associated with the sun and warmth, a form of solidified sunlight. It is a superb gemstone for healing seasonal affective disorder, increasing vitality, and healing from illness or injury. 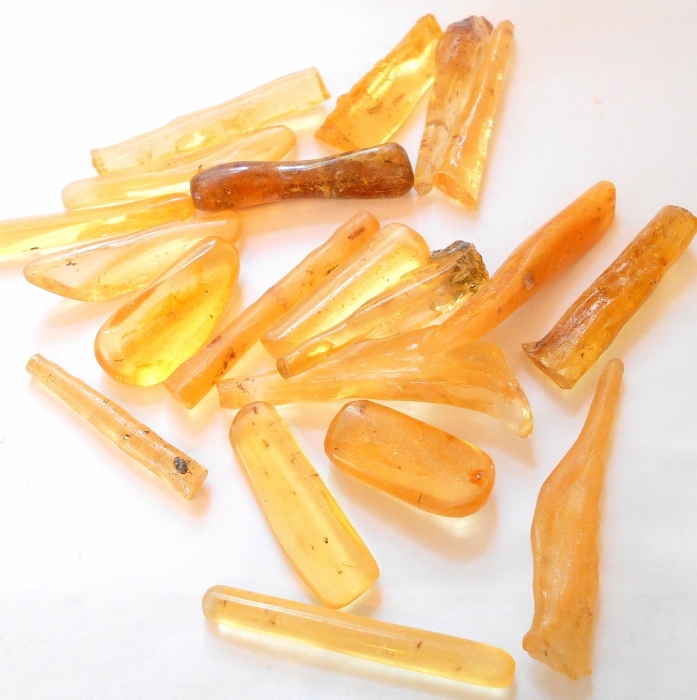 Amber is a stone of the solar plexus chakra. Sizes range from 1 3/8 to 2 1/2 inches each and price is for one stone. 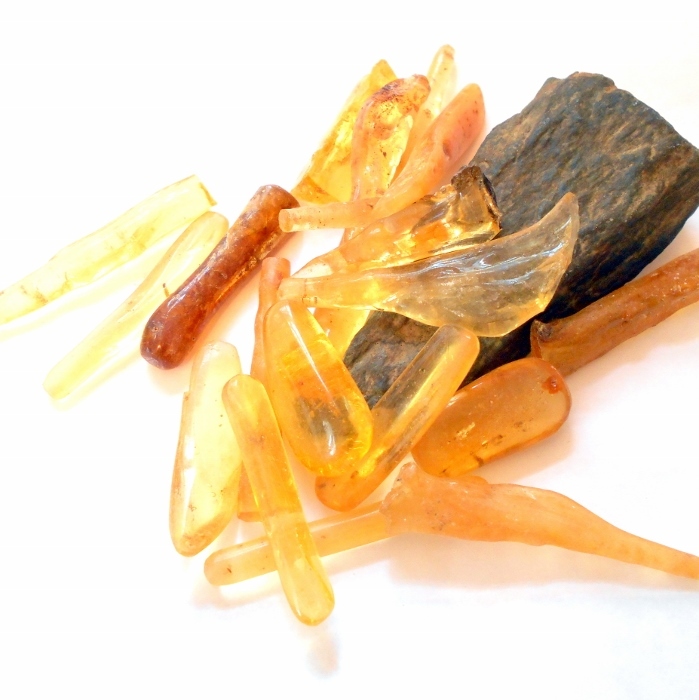 This is copal amber from Madagascar and many pieces have insects fossilized within them.